A great European tournament win for Harrow’s Orla Young as she won the Under 13s at the 2015 Danish Junior Open. She beat fellow Scott Beth Moglia in the final, to produce a fantastic Scottish 1/2. Congrats Orla on a fabulous victory. 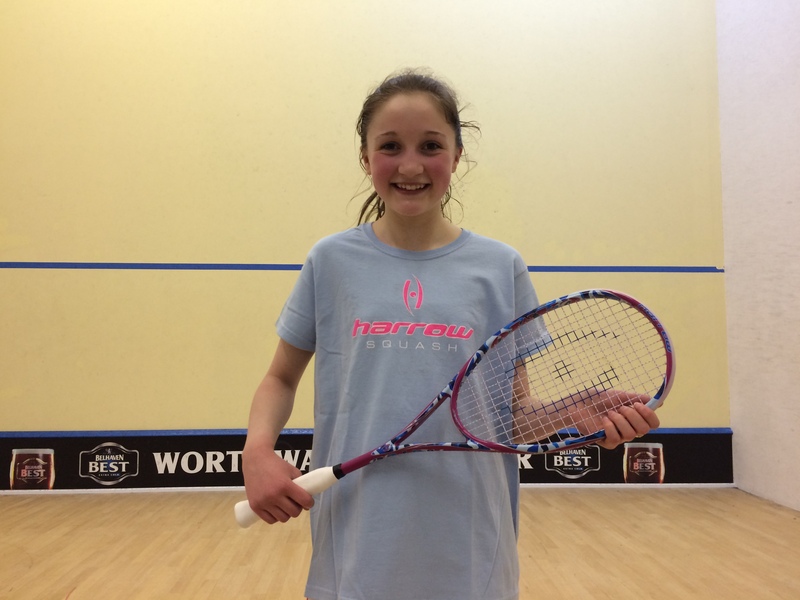 Orla Young is the newest sponsored player of the Harrow team in Scotland and at just 12 years old she already has some major achievements on the squash court. She is No 1 under 13 in Scotland (and No 2 under 15 in the rankings). At the Home Nations she did unbelievably well, beating the No 1 from England, Ireland, Wales and France (and based on these results it would not be unreasonable to say that she was the British No 1 under 13!). Runner-up in the Scottish Junior Open. Orla is hoping to win one or two more u13 titles before she turns 13 in November. She’s also currently No 6 in the European Junior Rankings (and would like to finish in the top 3 before she leaves the age group). So watch out for this ‘Young’ lady as she has also won over 25 matches for Newlands this season in the west Leagues and her coach Peter O’Hara (sen) has high hopes for her. Nick Matthew Comes to E.S.C in Edinburgh Next Weekend – Sat 15th December – Get Those Tickets Quick!